Welcome to the Atomic Cellular service which includes technologies that facilitate the buying and selling of goods (the "Atomic Cellular Service"). The Atomic Cellular Service is owned and operated by Atomic Cellular Corporation ("Atomic Cellular"). 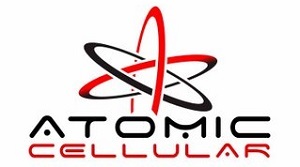 The Atomic Cellular Service also includes the Atomic Cellular website, currently located at www.Atomic Cellular.com, and any successor sites ("Atomic Cellular Website"), including the Atomic Cellular marketplace technology platform located thereon ("Atomic Cellular Marketplace"). The Atomic Cellular Service shall also include all applications made available by Atomic Cellular on the Atomic Cellular Website or for use in connection with the Atomic Cellular Website and technology platform. The following User Agreement (the "User Agreement") is a binding agreement between you, an individual or a single entity ("you") and Atomic Cellular ("we" or "us") regarding your use of the Atomic Cellular Service. BY ACCESSING OR USING THE ATOMIC CELLULAR SERVICE AND/OR BY CLICKING "I AGREE", YOU AGREE TO BE BOUND BY THIS USER AGREEMENT. YOU HEREBY REPRESENT AND WARRANT TO ATOMIC CELLULAR THAT YOU ARE AT LEAST 18 YEARS OF AGE OR AND OTHERWISE CAPABLE OF ENTERING INTO AND PERFORMING LEGAL AGREEMENTS, AND THAT YOU AGREE TO BE BOUND BY THIS USER AGREEMENT. IF YOU USE THE ATOMIC CELLULAR SERVICE ON BEHALF OF A BUSINESS, YOU HEREBY REPRESENT TO ATOMIC CELLULAR THAT YOU HAVE THE AUTHORITY TO BIND THAT BUSINESS AND YOUR ACCEPTANCE OF THIS USER AGREEMENT WILL BE TREATED AS ACCEPTANCE BY THAT BUSINESS. IN THAT EVENT, "YOU" AND "YOUR" WILL REFER TO THAT BUSINESS IN THIS USER AGREEMENT. Atomic Cellular reserves the right, at Atomic Cellular's discretion, to change, modify, add, or remove portions of this User Agreement at any time by posting the amended Terms to the Atomic Cellular Website. Please check this User Agreement and any Policies periodically for changes. Your continued use of the Atomic Cellular Service after the posting of changes constitutes your binding acceptance of such changes. Except as stated elsewhere, such amended Terms will automatically be effective thirty (30) days after they are initially posted on the Atomic Cellular Website. To participate in activities on the Atomic Cellular Service, you must register for an account on the Atomic Cellular Website. Upon registration and the activation of your account you will be considered a member of the Atomic Cellular Service with user permissions permitting you to use the Atomic Cellular Service for permitted activities, including the buying and selling of goods ("Member"). You will be responsible for safeguarding your password. You are responsible for keeping your account information accurate and current. You agree to notify Atomic Cellular of any loss of your password or account identifiers and any unauthorized use of your password or account identifiers. You acknowledge and agree that Atomic Cellular is not liable for unauthorized transactions or withdrawals made from your Atomic Cellular account due to any failure of you to keep your password credentials secret. You acknowledge and agree that Atomic Cellular will have no responsibility or liability, directly or indirectly, for failure to deliver notices or payments that result from inaccurate account information. If you do post content or submit material ("Submitted Materials"), and unless we indicate otherwise, you grant Atomic Cellular a nonexclusive, royalty-free, perpetual, irrevocable, and fully sublicensable right to use, reproduce, modify, adapt, publish, translate, create derivative works from, distribute, and display such Submitted Materials throughout the world in any media. You represent and warrant that you own or otherwise control all of the rights to the Submitted Materials that you post; that the Submitted Materials are accurate; that use of the Submitted Materials you supply does not violate this User Agreement and will not cause injury to any person or entity; and that you will indemnify Atomic Cellular for all claims resulting from your Submitted Materials. Atomic Cellular has the right but not the obligation to monitor and edit or remove any Submitted Materials. Atomic Cellular takes no responsibility and assumes no liability for any Submitted Materials posted by you or any third party. You understand and agree that Atomic Cellular may retain, but not display, distribute, or perform, server copies of your Submitted Materials that have been removed or deleted by you. 4.1 We charge fees for the sales of your goods in the Atomic Cellular Marketplace. There are no listing fees on the Atomic Cellular service. Sellers pay a percentage fee only when an item sells. Sellers will also pay for the Atomic Cellular shipping kit. The Atomic Cellular shipping kit cost will vary according to size and weight of the item, and are subject to change at Atomic Cellular's sole discretion. When you list goods in the Atomic Cellular Marketplace, you will have an opportunity to review the fees that you will be charged upon a sale based on our fee schedule, which we may change from time to time. Changes to that schedule are effective after Atomic Cellular provides you with at least 14 days' notice by posting the changes on the Atomic Cellular Website. We may choose to temporarily change the fees for our services for promotional events or new services, and such changes are effective when we post the temporary promotional event or new service on the Atomic Cellular Services. 4.2 Atomic Cellular may implement other fee-based services on the Atomic Cellular Service. In the event that Atomic Cellular offers such additional services, you will have an opportunity to review the fees associated with the applicable services on our fee schedule. 4.3 Unless otherwise stated, all fees are quoted in U.S. Dollars. You acknowledge and agree that Atomic Cellular does not and will not collect taxes for remittance to applicable taxing authorities. You are solely responsible for paying all fees and applicable taxes associated with your use of the Atomic Cellular Service in a timely manner with a valid payment method. It is your responsibility to remit any taxes that apply to your transactions to the appropriate taxing authorities. You agree to indemnify and hold Atomic Cellular harmless from and against any claim arising out of your failure to do so. If your payment method fails or your account is past due, we may collect fees owed using other collection mechanisms. This includes deducting any amounts owed from your account balance, charging other payment methods on file with us, and retaining collection agencies and legal counsel. 4.4 Shipping fees are based on the size and weight of the item, the mail class, prevailing shipping rates, and Atomic Cellular's fulfillment costs. Atomic Cellular reserves the right to update shipping fees based on prevailing shipping rates, or at its sole discretion. 4.5 In the case of a disputed or unsuccessful transaction, the issue will be resolved according to Atomic Cellular's Transaction Policies, under which either the buyer, the seller, or both parties may be required to pay additional fees, such as to pay for the return of an item to the seller. 5.1 Each Member shall have a Atomic Cellular account and must have a valid credit card on file to buy or sell items on the Atomic Cellular Service. When an item is sold, Atomic Cellular collects payment from the buyer, automatically deducts all fees due to Atomic Cellular, and places the seller proceeds in the seller's Atomic Cellular account as "pending". Pending proceeds are not available for use or withdrawal until the buyer receives and accepts the item purchased, or the Acceptance Period (defined below) expires. 5.2 If there is a disputed or unsuccessful transaction, the issue will be resolved per Atomic Cellular's Transaction Policies. Atomic Cellular may use seller pending proceeds, existing Member account balances, and charge Member credit cards on file to automatically satisfy a settlement of a disputed or unsuccessful transaction. 5.3 Once proceeds are cleared for use in a Member's account, the Member may choose to withdraw funds from the Atomic Cellular account at any time via bank transfer or physical check. A fee shall apply to a physical check withdrawal. 6.2 In cases where there is a disputed or unsuccessful transaction, Atomic Cellular will rely on our policies contained within, to resolve disputed or unsuccessful transactions. Because Atomic Cellular's involvement is limited to that of a platform provider facilitating the actual transaction between sellers and buyers, it is not the agent of either party for any purpose. Atomic Cellular will not act as an arbiter in cases where a buyer and seller are not in agreement on the truth, nature, cause, or intent, of a particular disputed transaction. The financial settlement of a disputed transaction will be carried according to Atomic Cellular's policies. We reserve the right to charge or credit Members' Atomic Cellular accounts and credit cards on file, according to our policies at our discretion, depending on the policy dictated settlement. If a Member's payment method on file fails, Atomic Cellular reserves the right to collect fees using other collection mechanisms, including collection agencies and legal counsel. When listing an item for sale on the Atomic Cellular Service, you have the option to donate a percentage of the sale proceeds to your choice of several Atomic Cellular-approved charities. The charity donation amount will be calculated as a percentage of the seller's net sale proceeds, after Atomic Cellular's fees (including Atomic Cellular shipping kit cost) are deducted. When an item sells, Atomic Cellular will collect the charity payment automatically and disburse it to the indicated charity. 100% of donations that are received from Atomic Cellular Members are disbursed to the indicated charity. In accordance with applicable tax laws, Atomic Cellular Members may be able to deduct donations; however, please consult your accountant before doing so. 8.1 The technology, data and materials on the Atomic Cellular Service, except the Submitted Materials, including, without limitation, all text, graphics, interactive features, logos, photos, audiovisual content, software, applications or downloadable materials, data, as well as the selection, organization, coordination, compilation and overall look and feel of the Atomic Cellular Service (collectively, the "Materials") are the owned intellectual property of Atomic Cellular and its licensors. The Materials are protected by copyright, trade dress, patent, trademark and other laws, international conventions and proprietary rights and all ownership rights to the Materials remain with Atomic Cellular or its licensors, as the case may be. All trademarks, service marks, and trade names are proprietary to Atomic Cellular or its affiliates and/or third party licensors. Except as expressly authorized by Atomic Cellular, you agree not to sell, license, distribute, copy, modify, publicly perform or display, transmit, publish, edit, adapt, create derivative works from, or otherwise make use of the Materials. Atomic Cellular reserves all rights not expressly granted in and to the Atomic Cellular Service and the Materials. 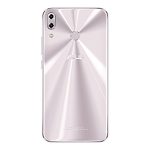 8.2 For the convenience of sellers, we may offer catalogs of stock images, descriptions and product specifications, which are provided by Atomic Cellular and third parties. While we try to offer reliable data, we cannot promise that the catalogs will always be accurate and up-to-date. You agree that you will not hold our catalog providers responsible for inaccuracies in their catalogs. The catalogs may include copyrighted, trademarked or other proprietary materials. You may use the catalogs only for informational purposes and only in connection with your Atomic Cellular activity. You may not use catalog content in a way that infringes or violates anyone's proprietary rights. xxii. HARVEST ANY ATOMIC CELLULAR INFORMATION, CUSTOMER INFORMATION, PRODUCT INFORMATION, MARKET DATA, OR PRODUCT PRICING DATA FROM THE ATOMIC CELLULAR SERVICE, WHETHER BY USING AUTOMATED MEANS (SUCH AS HARVESTING BOTS, ROBOTS, SPIDERS, OR SCRAPERS) OR OTHERWISE, WITHOUT ATOMIC CELLULAR'S PRIOR WRITTEN CONSENT. i. A physical or electronic signature of a person authorized to act on behalf of the Copyright Owner of an exclusive right that is allegedly infringed. iii. Identification of the material that is claimed to be infringing or to be the subject of infringing activity and that is to be removed or access to which is to be disabled, and information reasonably sufficient to permit Atomic Cellular to locate the material. iv. Information reasonably sufficient to permit Atomic Cellular to contact the Copyright Owner, such as an address, telephone number, and, if available, an electronic mail address at which the Copyright Owner may be contacted. vi. A statement that the information in the notification is accurate, and under penalty of perjury, that the complaining party is authorized to act on behalf of the Copyright Owner of an exclusive right that is allegedly infringed. 10.3 Only DMCA notices should go to the designated copyright agent; any other comments, requests, or other communications should be directed to Atomic Cellular. Under applicable law, any notification of claimed infringement that does not comply with the DMCA's requirements is invalid. iv. Your name, address, and telephone number, and a statement that you consent to the jurisdiction of the Federal District Court for the judicial district in which your address is located, or if your address is outside of the United States, the jurisdiction of the Federal District Court for the Southern District of New York, and that you will accept service of process from the Copyright Owner who provided notification as mentioned in section 10.1 or an agent of such person. 10.5 Atomic Cellular reserves the right to terminate without notice any Member's access to the Atomic Cellular Service if that Member is determined by Atomic Cellular to be a "repeat infringer." In addition, Atomic Cellular accommodates and does not interfere with standard technical measures used by copyright owners to protect their materials. ATOMIC CELLULAR HAS NO CONTROL OVER, AND IS NOT RESPONSIBLE FOR MEMBERS' PERFORMANCE OF THEIR OBLIGATIONS UNDER OUR policies. WE ARE NOT A TRADITIONAL RETAILER. WE PROVIDE A VENUE FOR OUR MEMBERS TO SELL AND BUY ITEMS. WE PROVIDE NO GUARANTEE OF THE QUALITY, AUTHENTICITY, OR LEGALITY OF ITEMS SOLD THROUGH THE ATOMIC CELLULAR SERVICE. WE CANNOT CONTROL BUYERS OR SELLERS, NOR CAN WE ENSURE THAT A TRANSACTION WILL BE COMPLETED. ATOMIC CELLULAR DOES NOT TRANSFER LEGAL OWNERSHIP OF ITEMS FROM THE SELLER TO THE BUYER. ATOMIC CELLULAR AND ITS AFFILIATES WILL NOT BE LIABLE FOR ANY DAMAGES OF ANY KIND ARISING FROM THE USE OF ATOMIC CELLULAR SERVICES OR APPLICATIONS OR ANY INFORMATION, MATERIALS, CONTENT, SERVICES, AND PRODUCTS (INCLUDING SOFTWARE APPLICATIONS), INCLUDED OR MADE AVAILABLE TO YOU BY ATOMIC CELLULAR, INCLUDING, BUT NOT LIMITED TO DIRECT, INDIRECT, INCIDENTAL, PUNITIVE, AND CONSEQUENTIAL DAMAGES, UNLESS OTHERWISE SPECIFIED IN WRITING. THE ATOMIC CELLULAR SERVICE AND ALL INFORMATION, MATERIALS, CONTENT, SERVICES, AND PRODUCTS (INCLUDING SOFTWARE APPLICATIONS) PROVIDED BY ATOMIC CELLULAR ARE PROVIDED ON AN AS IS AND AS AVAILABLE BASIS, UNLESS OTHERWISE STATED IN WRITING. ATOMIC CELLULAR MAKES NO REPRESENTATIONS OR WARRANTIES OF ANY KIND, EXPRESS OR IMPLIED, AS TO THE OPERATION OF THIS SITE OR THE INFORMATION, MATERIALS, CONTENT, SERVICES, AND PRODUCTS (INCLUDING SOFTWARE APPLICATIONS), INCLUDED OR MADE AVAILABLE TO YOU, UNLESS OTHERWISE SPECIFIED IN WRITING. ATOMIC CELLULAR DOES NOT WARRANT THAT THE ATOMIC CELLULAR SERVICE, INFORMATION, MATERIALS, CONTENT, SERVICES, AND PRODUCTS (INCLUDING SOFTWARE APPLICATIONS), OR SERVICES INCLUDED OR OTHERWISE MADE AVAILABLE TO YOU THROUGH THEREON, WHETHER DELIVERED THROUGH THIRD PARTIES, OR EMAIL SENT FROM ATOMIC CELLULAR ARE FREE OF VIRUSES OR OTHER HARMFUL COMPONENTS. WE CANNOT GUARANTEE CONTINUOUS OR SECURE ACCESS TO THE ATOMIC CELLULAR SERVICE, AND OPERATION OF THE ATOMIC CELLULAR SERVICE OR APPLICATIONS MAY BE DISRUPTED BY FACTORS OUTSIDE OF OUR CONTROL. ACCORDINGLY, TO THE EXTENT LEGALLY PERMITTED, WE EXCLUDE ALL IMPLIED WARRANTIES, TERMS AND CONDITIONS. WE ARE NOT LIABLE FOR ANY LOSS OF MONEY, GOODWILL, OR REPUTATION, OR ANY SPECIAL, INDIRECT, OR CONSEQUENTIAL DAMAGES ARISING OUT OF YOUR USE OF OUR SITE OR APPLICATIONS. SOME JURISDICTIONS DO NOT ALLOW THE DISCLAIMER OF WARRANTIES OR EXCLUSION OF DAMAGES, SO SUCH DISCLAIMERS AND EXCLUSIONS MAY NOT APPLY TO YOU. REGARDLESS OF THE PREVIOUS PARAGRAPH, IF WE ARE FOUND TO BE LIABLE, OUR LIABILITY TO YOU OR TO ANY THIRD PARTY IS LIMITED TO THE GREATER OF (I) THE TOTAL FEES YOU PAID TO US IN THE 12 MONTHS PRIOR TO THE ACTION GIVING RISE TO THE LIABILITY AND (II) $100. You hereby release Atomic Cellular, and its officers, directors, agents, subsidiaries, and employees from claims, demands, and damages (actual and consequential), known and unknown, of any type and nature, deriving from, or in any way, from disputed or unsuccessful transactions. If you are a California resident, you waive California Civil Code B § 1542, which says: "A general release does not extend to claims which the creditor does not know or suspect to exist in his favor at the time of executing the release, which if known by him must have materially affected his settlement with the debtor." You hereby agree to indemnify, defend and hold harmless Atomic Cellular and its officers, directors, agents, subsidiaries, and employees harmless from any claim, proceeding or demand, including reasonable attorneys' fees, made by any third party due to or arising from breach of this User Agreement, or your violation of any law or the rights of a third party. In the interest of resolving disputes between you and Atomic Cellular in the most expedient and cost effective manner, you and Atomic Cellular agree that any and all disputes arising in connection with this Agreement shall be resolved by binding arbitration. Arbitration is more informal than a lawsuit in court. Arbitration uses a neutral arbitrator instead of a judge or jury, may allow for more limited discovery than in court, and can be subject to very limited review by courts. Arbitrators can award the same damages and relief that a court can award. Our agreement to arbitrate disputes includes, but is not limited to all claims arising out of or relating to any aspect of these Terms, whether based in contract, tort, statute, fraud, misrepresentation or any other legal theory, and regardless of whether the claims arise during or after the termination of these Terms. You understand and agree that, by entering into these Terms, you and Atomic Cellular are each waiving the right to a trial by jury or to participate in a class action. 14.2 Notwithstanding Section 14.1, we both agree that nothing herein shall be deemed to waive, preclude, or otherwise limit either of our right to (i) bring an individual action in small claims court, (ii) pursue enforcement actions through applicable federal, state, or local agencies where such actions are available, (iii) seek injunctive relief in a court of law, or (iv) to file suit in a court of law to address intellectual property infringement claims. Any arbitration between you and Atomic Cellular will be governed by the Commercial Dispute Resolution Procedures and the Supplementary Procedures for Consumer Related Disputes (collectively, "AAA Rules") of the American Arbitration Association ("AAA"), as modified by these Terms, and will be administered by the AAA. The AAA Rules and filing forms are available online at www.adr.org, by calling the AAA at 1-800-778-7879, or by contacting Atomic Cellular. A party who intends to seek arbitration must first send a written notice of the dispute to the other, by certified mail or Federal Express (signature required), or in the event that we do not have a physical address on file for you, by electronic mail ("Notice"). Atomic Cellular's address for Notice is: 555 Bryant Street, #602, Palo Alto, CA 94301. The Notice must (a) describe the nature and basis of the claim or dispute; and (b) set forth the specific relief sought ("Demand"). We agree to use good faith efforts to resolve the claim directly, but If we do not reach an agreement to do so within 30 days after the Notice is received, you or Atomic Cellular may commence an arbitration proceeding. During the arbitration, the amount of any settlement offer made by you or Atomic Cellular shall not be disclosed to the arbitrator until after the arbitrator makes a final decision and award, if any; provided that if our dispute is finally resolved through arbitration in your favor, Atomic Cellular shall pay you the greater of (i) the amount awarded by the arbitrator, if any, and (ii) the greatest amount offered by Atomic Cellular in settlement of the dispute prior to the arbitrator's award. In the event that you commence arbitration in accordance with these Terms, Atomic Cellular will reimburse you for your payment of the filing fee, unless your claim is for greater than $10,000, in which case the payment of any fees shall be decided by the AAA Rules. Any arbitration hearings will take place at a location to be agreed upon in New York, New York, provided that if the claim is for $10,000 or less, you may choose whether the arbitration will be conducted solely on the basis of documents submitted to the arbitrator, through a non-appearance based telephonic hearing, or by an in-person hearing as established by the AAA Rules. If the arbitrator finds that either the substance of your claim or the relief sought in the Demand is frivolous or brought for an improper purpose (as measured by the standards set forth in Federal Rule of Civil Procedure 11(b)), then the payment of all fees will be governed by the AAA Rules. In such case, you agree to reimburse Atomic Cellular for all monies previously disbursed by it that are otherwise your obligation to pay under the AAA Rules. Regardless of the manner in which the arbitration is conducted, the arbitrator shall issue a reasoned written decision sufficient to explain the essential findings and conclusions on which the decision and award, if any, are based. The arbitrator may make rulings and resolve disputes as to the payment and reimbursement of fees or expenses at any time during the proceeding and upon request from either party made within 14 days of the arbitrator's ruling on the merits. YOU AND ATOMIC CELLULAR AGREE THAT EACH MAY BRING CLAIMS AGAINST THE OTHER ONLY IN YOUR OR ITS INDIVIDUAL CAPACITY, AND NOT AS A PLAINTIFF OR CLASS MEMBER IN ANY PURPORTED CLASS OR REPRESENTATIVE PROCEEDING. Further, unless both you and Atomic Cellular agree otherwise, the arbitrator may not consolidate more than one person's claims, and may not otherwise preside over any form of a representative or class proceeding. In the event that Atomic Cellular makes any future change to this arbitration provision (other than a change to the Atomic Cellular's address for Notice), you may reject any such change by sending us written notice within 30 days of the change to Atomic Cellular's address for Notice, in which case your account with Atomic Cellular shall be immediately terminated and this arbitration provision, as in effect immediately prior to the amendments you reject shall survive. If only Section 14.6 of this Section 14 or the entirety of this Section 14 is found to be unenforceable, then the entirety of this Section 14 shall be null and void and, in such case, the parties agree that the exclusive jurisdiction and venue described elsewhere in Section 15 shall govern any action arising out of or related to these Terms. This User Agreement, whether interpreted in a court of law or in arbitration, shall be governed and construed in accordance with the laws of the State of New Mexico, excluding its conflicts of law rules. Any dispute arising out of or relating to this User Agreement or your access or use of the Atomic Cellular Service will be subject to the exclusive jurisdiction of the state and federal courts located within Bernalillo County in the State of New Mexico, and you hereby submit to the personal jurisdiction of such courts. YOU AND ATOMIC CELLULAR AGREE THAT ANY CAUSE OF ACTION ARISING OUT OF OR RELATED TO THE ATOMIC CELLULAR WEBSITE MUST COMMENCE WITHIN ONE (1) YEAR AFTER THE CAUSE OF ACTION ACCRUES. OTHERWISE, SUCH CAUSE OF ACTION IS PERMANENTLY BARRED. No agency, partnership, joint venture, employee-employer or franchiser-franchisee relationship is intended or created by this User Agreement. Nothing expressed or mentioned in or implied from this User Agreement is intended or shall be construed to give to any person other than the parties hereto any legal or equitable right, remedy, or claim under or in respect to this User Agreement. This User Agreement and all of the representations, warranties, covenants, conditions, and provisions hereof are intended to be and are for the sole and exclusive benefit of Atomic Cellular, you, and relying buyers or sellers. The availability of any Atomic Cellular Service on any third party site does not indicate any relationship or affiliation between Atomic Cellular and such site. Unless explicitly stated otherwise, legal notices shall be served to the email address you provide to Atomic Cellular. Notice shall be deemed given 24 hours after email is sent, unless we are notified that the email address is invalid. Alternatively, we may give you legal notice by mail to the default address provided by you to Atomic Cellular. In such case, notice shall be deemed given three (3) days after the date of mailing. You agree that Atomic Cellular may, and without penalty, suspend or terminate any account (or any part thereof) you may have on the Atomic Cellular Service and remove and discard all or any part of your account, Member profile, and any Submitted Materials, at any time. Atomic Cellular may also in its sole discretion and at any time discontinue providing access to the Atomic Cellular Service, or any part thereof (including without limitation all Materials), with or without notice. You agree that any termination or suspension of your access to the Atomic Cellular Service or any account you may have or portion thereof may be effected without prior notice, and you agree that Atomic Cellular will not be liable to you or any third party for any such termination. As discussed herein, Atomic Cellular does not permit copyright infringing activities on the Atomic Cellular Service, and shall be permitted to terminate access to the Atomic Cellular Service, and remove any Submitted Materials or other video content submitted by any Members who are found to be repeat infringers. Your only remedy with respect to any dissatisfaction with (i) the Atomic Cellular Service, (ii) any term of this User Agreement, (iii) any policy or practice of Atomic Cellular in operating the Atomic Cellular Service, or (iv) any content or information transmitted through the Atomic Cellular Service, is to terminate this User Agreement and your account. You may terminate this User Agreement at any time by discontinuing use of any and all parts of the Atomic Cellular Service and providing Atomic Cellular written notice at the postal or email address in Section 19, below. For clarity, no fees payable by you hereunder are refundable upon termination of this User Agreement by you. Upon termination of this User Agreement, Sections 2-19 shall survive. This is the entire agreement between you and Atomic Cellular relating to the subject matter herein and will not be modified except by a change to this User Agreement or Policies made by Atomic Cellular as set forth above. No agency, partnership, joint venture, employee-employer or franchiser-franchisee relationship is intended or created by this Agreement. You can contact Atomic Cellular If any provision of this User Agreement is held to be invalid or unenforceable, such provision shall be struck and the remaining provisions shall be enforced. Headings are for reference purposes only and do not limit the scope or extent of such section. Our failure to act with respect to a breach by you or others does not waive our right to act with respect to subsequent or similar breaches. We do not guarantee we will take action against all breaches of this User Agreement. Unfortunately it does happen from time to time that a product needs to be returned for a refund. WE DO NOT PROVIDE EXCHANGES ORE DO REPLACEMENTS. IF THERE IS AN ISSUE WITH AN ITEM, PLEASE RETURN IT FOR A FULL REFUND. We stand behind the quality of all of our refurbished products. Products can be returned within 30 days from the date of purchase.